"Home Loans In Your Best Interest"
"We cannot thank you enough for all of your hard work and efforts to assist us with our financing. We surely appreciate and value you as our expert and will definitely be calling again in the future." "Thank you so much for all your help and incredible patience with us through this whole process. We could not have done it without you. You are amazing!" "Thanks again for being an awesome loan officer!!" "I have used Frederick multiple times to Refinance loans. I would recommend him to anyone I know. He is fast, efficient and I totally trust him. My parents have also used him for a Refinance and a Home Purchase. He will beat anyone's pricing and rates due to the fact that he wants your business and when you are satisfied, you will recommend him to your friends. That is how he gets all his business." "Fred is a great to work with. When it’s time to sign docs everything goes perfect, no surprises and no upset borrowers. I have presented many deals for Fred, his clients are happy and chat about how they enjoy working with him." "Frederick is the consummate professional. He is a true Mortgage advisor, achieving and understanding of the needs of his customers first so then he is able to tailor a solution with product and rate fit to meet those needs. This is possible because of his knowledge of the industry, the right connections with the funding sources and the knowledge of the products required to accomplish timely closings in today’s marketplace. I have known and worked with Mr. McKinney for nearly a decade. Truthfully, those that remain independent mortgage professionals are capable to doing so because of their work ethic and the work that they perform for those lucky enough to be their customers. Frederick, keep up the good work." "Freddy is one of the best, most reliable and hardest workers out there and will go the extra step to make sure that you as a client are fully satisfied. He also happened to be my superior for a short time and I would say nothing but good things and that he only wants others around him, within his business or not, to succeed and strives to help where he sees a need with a true caring persona and heart." "Fred has been a client of mine for several years and my team and I enjoy working with him. He takes pride in his work and delivers the highest levels of service to his clients. He is an excellent communicator and is extremely knowledgeable about our industry. I highly recommend Fred to anyone looking to purchase or refinance." "Fred takes the time and puts in the effort to be sure his clients are getting his best. Every time. I would and do highly recommend him for all of your Mortgage needs." "Frederick is a trustworthy expert in his field." 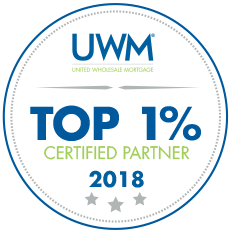 "Fred is very knowledgeable of the mortgage market and consistently strives to provide his customers with the best available mortgage options." "Fred is a great person to work with. He is constantly trying to find ways for his clients to save money by getting them the best loan possible for each client." 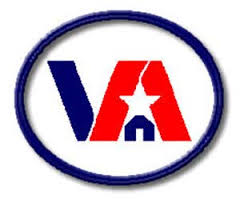 "Frederick is a detail oriented, results driven, mortgage professional. As a client of ours, he always delivered investment quality loans and was always a pleasure to work with." "Frederick completed a transaction together. He was a pleasure to work with and very prompt with his response. I experienced nothing but professionalism and excellent work. I look forward to working with him in the future and would recommend him to anyone looking for a residential mortgage." "I have known Freddie for almost 20 years. He has always been a tireless and enthusiastic advocate for his clients. He has always been a creative problem solver and I would recommend his services to everyone." 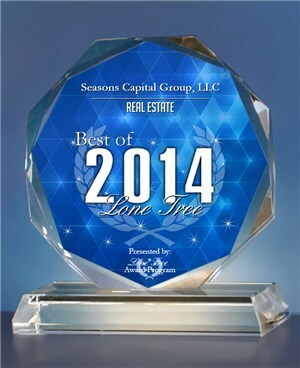 "Fred McKinney with Seasons Capital Group, LLC is fast, thorough and a kick to work with." "Fred has been a trusted Financial Advisor who has helped my wife and I refinance our home in Castle Pines and take advantage of the savings offered via the Federal HARP Program. He is proactive, responsive, detail oriented and has followed through on all his commitments related to the work at hand. He's a great person and I highly recommend him. "-Top Qualities: Great Results, Personable & High Integrity. "Working with Frederick has been a blessing...he has strong knowledge of the industry and excellent communication skills." "Fred has always been extremely fast, detailed and professional in the way he conducts business. I would recommend Frederick McKinney to any investor or homeowner looking for professional results." "Professional and gets the job done." "Fred McKinney is a first class businessman-stand up professional." "On behalf of Catherine and myself, thank you for all your hard work in coordinating the financing." "He is a tireless professional dedicate to the craft of mortgage planning." "Thank you for the continued follow-up. I truly appreciate it." "I'm going to call you fast Freddy!!!" "Thank you so much for coming out! I am glad t be working with you!" "Thank you from the bottom of my heart for helping us get this awesome house!" "I wanted to express my sincerest of appreciation for all your hard work and EVERYTHING and everything you did to make it all happen! Thank you Fred." "SWEEEEEEEEEEEEET!!!! Thanks! You rock!!!!!!!!!!! You have been amazing J." "Thank you so much for all your help. Couldn't have completed this without you." "You're a great lender. I truly appreciate your follow up and professionalism"
"I am always surprised at how fast you respond!!!" "I'll be sending clients your way...appreciate all your help! Thank you so much Fred! :)"
"I wanted to take time to thank you for your business. I appreciate you so very much and enjoy working with you. It is with no doubt that it is because of your professionalism and amazing customer service, your business has flourished to what it is today. It has been a great pleasure to watch your success and I am grateful to have had an opportunity to work with you!" "I refer everyone to you guys. Always love a broker you can trust : )"
"Wow!! Amazing work on your part. Thanks!" "You're the easiest lender in the world to work with...it's GOOD! You're the BEST!" "Thanks again for your amazing help!!!" "Thank you Fred, you are the best lender in Colorado! Thanks for your help." Seasons Capital Group, LLC has been committed to financial planning based mortgages since 2001. We know that every borrower's needs are different and we prepare specific illustrations that best put all of your dollars to work for you. Simply put, we find the BEST options, lowest rates and lowest closing costs available. Present them in an easy to understand format and let you the consumer be in the "question asker" and the "decision maker" on what the best fit is for YOU! As certified mortgage planning specialist, we believe your home is an instrument to help clients create wealth. In the 20+ years as a mortgage professional, the majority of our business has always been derived from either previous customers or real estate professionals! 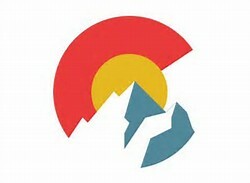 We are a fully automated Colorado home based "botique" mortgage company with extensive resources and networks...quite simply, we do not have the overhead other mortgage companies pass on to their borrowers in the form of higher rates and fees. Thus, helping you achieve your financial goals with "make sense" mortgages. Our past and present clients are more important to us than anything else! 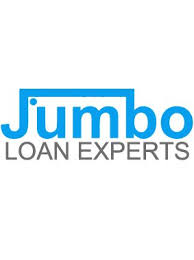 Our goal is to make the loan process as simple and worry-free as possible. We pride ourselves in offering the highest level of customer service, and appreciate the opportunity to earn your business. We understand how difficult it can be navigating the financing of a home and having the right team is key...whether you want to refinance for a lower mortgage rate, get a new home mortgage, or a home equity loan... our purpose is to satisfy your needs! We are your guide and your inside source. By putting you first, we assure you a pleasurable transaction and the mortgage that's RIGHT for YOU for your personal needs and goals! Please do not hesitate to contact Founder & President, Frederick McKinney (Nationwide Mortgage Licensing System-NMLS #191692 & 258377, Colorado Licensed & Certified Mortgage Loan Originator #100007825). In 1994, he earned a Bachelor of Science degree in Aerospace Science with a minor in Metoerology from Metropolitan State College of Denver. Since 1995, Frederick has been originating mortgage loans and has helped hundreds of families and individuals achieve the dream of home ownership! In addition, he understands the needs of homeowners and truly has a passion and LOVE for helping his clients. Furthermore, he is always open and entertains any input or suggestions that may be helpful. "I take pride and strive for impeccable, honest, caring and prompt/efficient customer service. You may call me at anytime (even on weekends and evenings) and we can discuss any questions that you may have...as I am here for you! I have been in the mortgage industry for 20+ years and mastered my profession (experience does matter dealing with a qualified professional-there is too much on the line when making a financial decision such as this...eliminating any confusion of strict lending guidelines and a hassle-free transaction in this lending environment). I have access to over 25 wholesale lenders (we all use the same lenders as our funders) and I'm the owner of the company since 2001 (low overhead costs). My reputation is built around crucial principles: trust, determination, discipline and detail. Anyone who has worked with me can attest my motivation, integrity and sincerity. Moreover, dealing with me and my experienced team, you will be guided and educated through the entire process; with or without challenges, you will be confident of a seamless transaction....meeting your highest expectations by getting you the best rate and lowest closing costs possible! 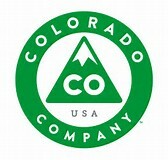 Furthermore, I am licensed and reside here in Colorado. I look forward to hearing from you and working with you." GET QUICK ANSWERS...CONSIDER IT DONE! OUR LOANS VS. THE COMPETITION...ARE THE EXACT SAME PRODUCT SECURED BY THE SAME ENTITIES (FHA, VA, FANNIE MAE, FREDDIE MAC, ETC...), SERVICED & FUNDED BY THE SAME LENDERS! HOWEVER, BROKERING (WE HAVE OVER 50 LENDER RELATIONSHIPS IN OUR ARSENAL) HAS LOWER OVERHEAD COSTS & IMPROVED EFFICIENCY; WHICH EQUATES TO LOWER RATES, FEES & QUICKER FUNDING! 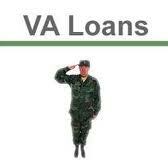 No closing cost & best rate loans for purchase, refinance or debt consolidation. 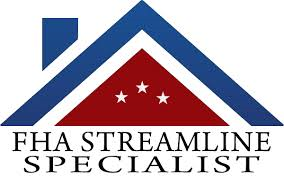 Conventional (Fannie Mae & Freddie Mac), FHA, FHA Streamline, FHA 203K, VA, VA IRRRL, HARP, HAMP, HomeStyle, HomePath, Refi Plus, LPMI, USDA, Jumbo, Investment, CHAC, Reverse, Construction, Multifamily, Non QM, Stated Income, SIVA, Bank Statement, Asset Depletion, Foreign National, ITIN, HELOC, Commercial, Hard Money, Land, Bridge & Mezzanine Mortgage Loans* (some restrictions apply to all programs,WAC). Get the best mortgage loan when you decide to buy a home or refinance a mortgage, it's a big step. You can trust us to find the loan program that's best for you! Our mortgage professionals give you the personal attention you deserve and treat you with the respect due a valued customer. We understand you're making a commitment in buying a new home, refinancing a mortgage, or cashing out your home equity. So we make a commitment to you. We will help you qualify, apply and be approved for the right mortgage loan for you. Not anyone else! contact us today to schedule an appointment and a free analysis. *(All programs WAC and restrictions may apply). 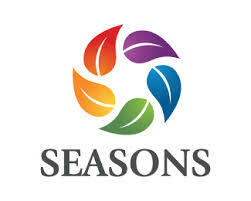 EXPERIENCE, INTEGRITY, SINCERITY & COMPASSIONATE DETAILED SERVICE = SEASONS! Seasons Capital Group, LLC is not endorsed by, nor acting on behalf of or at the direction of the U.S. Department of Housing and Urban Development, Federal Housing Administration, the Veterans Administration, the U.S. Department of Agriculture, the Federal Government, Fannie Mae or Freddie Mac. This material is informational only and is not an offer to lend or recommend available products. This is not an advertisement to extend credit as defined by Regulation Z, nor an application for credit as defined by RESPA/Regulation X. All applications are subject to underwriting guidelines and approval based upon the credit, assets, value of subject property and borrower's ability to repay. 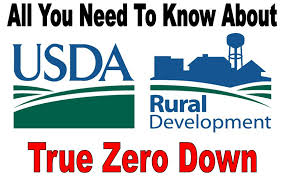 Not all applicants are eligible for or qualify for all loan products offered. All loan programs, terms and conditions are subject to change without notice.